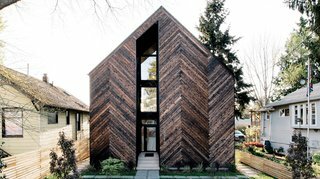 A Seattle engineer builds an energy-efficient house with an assist from a prototype smart-home system. It sounds like a punch line: Welcome to Seattle, where even the houses are smart and passive. In a city known for its progressive politics, it’s no surprise that a Seattleite would build a hyper-efficient Passive House–certified structure with a prototype operating system to connect all its home automation features.